Is your cruise ship docking in the port of Tauranga? Experience the best of the Bay of Plenty and Waikato regions in our Xquizit mini coaches! When you pre-book your Tauranga cruise ship tours with Xquizit Tours, you will be met at the Port Gates by your Driver/Guide. You will then be taken in one of our luxury mini coaches or stretch limousines to experience the local favourites. All our fully-licensed driver/guides live and work in the region and know the area intimately. We guarantee you will have a great day and we will have you back to the Cruise ship at least one hour prior to sailing. Scenic drive along Pilot Bay and the Pacific Coast surf beach of Mt Maunganui. Travel inland through the fertile “Kiwi Fruit Capital” of New Zealand – Te Puke. Stop at the Kaituna River/Okere Falls at Lake Rotoiti, a Grade 5 Rafting River with the highest commercially rafted waterfall in the southern hemisphere. 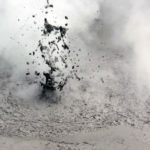 Visit Te Puia the Maori Cultural Centre (admission included), a geothermal park with boiling mud pools and natural geysers, including the famous Pohutu geyser, which erupts up to 30m in the air twice an hour. 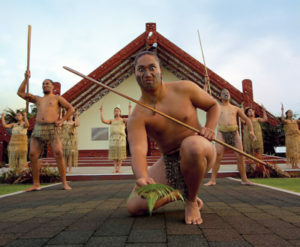 Stop by the kiwi house where two kiwi birds live, see the carving and weaving demonstrations and attend a Maori cultural performance which includes the famous Haka. Stroll through Rotorua’s Government Gardens, which is home to the Museum of Art & History, Blue Baths, Te Runanga Tea House, Band Rotunda, Rachael Spring and the Totara Gates erected in the early 1900’s. Drive along the waterfront of Lake Rotorua, with the opportunity to stop for lunch at Rotorua’s famous Eat Streat (lunch not included in price). Return to the Port of Tauranga via the Scenic Highway with stops along the way at scenic points of interest. Visit Wai-o-tapu Thermal Wonderland (admission included), where you will see some amazing colours in the lakes, the famous Champagne Pool and the largest hot bubbling mud pool in the region. Travel to Waikite Natural Hot Springs (admission included) for a soak in the hot calcite laden mineral waters to soothe & relax you and breathe the fresh crisp clean country air (no sulphur or chlorine smell here). Explore the native bush on the easy walk to Te Manaroa Spring, New Zealand’s largest single source of natural boiling water. Stop at Comvita Honey, where you can see the working bees and sample local manuka honey and products. 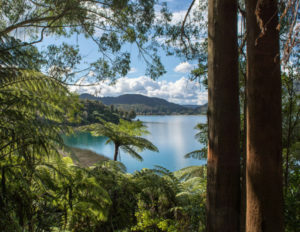 Travel through native bush to the Blue and Green Lake and Lake Tarawera lookout, passing The Buried Village of Te Wairoa along the way. Stop in the famous Whakarewarewa Redwood Forest and take a short walk among the giant Redwoods and silver fern. 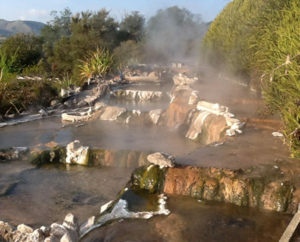 Visit Kuirau Park for a walk around the mud pools and bathe your feet in the thermal foot pools. Visit Hells Gate Geothermal Park for an hour-long walk through native bush and geothermal wonders, including boiling mud, steaming pools and erupting waters. If you choose the Add-on ($55 NZD per person) then after the walk is time to soak in the mud bath and sulphur spa. Head to Wai Ora Lakeside Resort for lunch (not included in tour price) and a view of Lake Rotorua’s beautiful Holden’s Bay. Scenic drive over the Kaimai mountain ranges to the flat lush farmland of the Waikato. 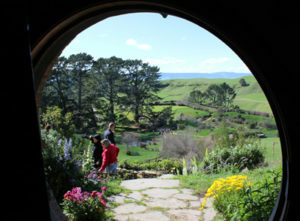 Visit the Hobbit Movie Set and enjoy a guided tour, finishing at the Green Dragons Den for a complimentary beverage. Stop at a country pub for a light lunch (not included in tour price) and a taste of rural New Zealand. Travel through Rotorua to view the city sights, including Kuirau Park, the Rotorua Lakefront, the Government Gardens, Museum of Art & History. Scenic drive return along Pilot Bay and the Pacific Coast surf beach of Mt Maunganui. Free WiFi is available in all vehicles. Complimentary sunscreen and chilled bottled water are available on all tours. We strongly advise you to bring comfortable walking shoes, sunhat and sunglasses. Please provide your own bathing suit, towels and warm clothing where applicable. Please review the 2016/17 Cruise Ship Schedule for the Port of Tauranga, and provide your vessel name and docking information at the time of booking. Please note prices are quoted for the mini-coaches; if your group is more than 10 and up to 16 passengers please ask for a quote. Looking for something different to the above? Visit our Private Tours page or make an enquiry for a customised, no-obligation quote. FREE WIFI and complimentary bottled New Zealand water available for all tours. 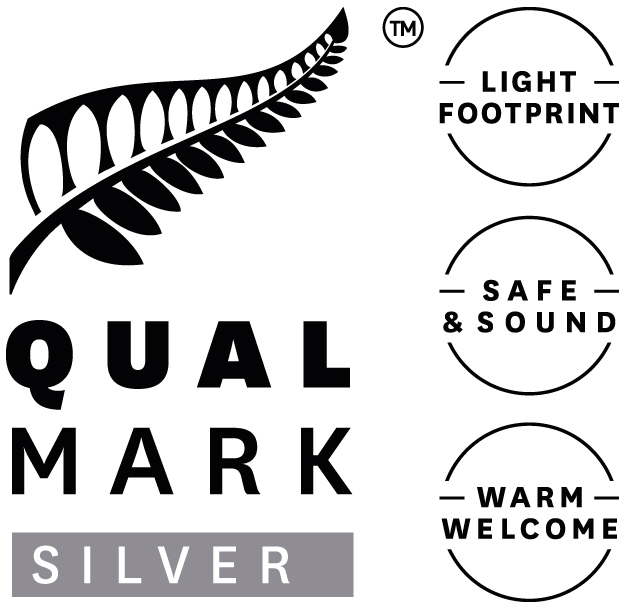 Xquizit Tours have full Public Liability Insurance and have the Qualmark Endorsement for Visitor Activity and Visitor Transport which gives you the assurance that Tourism New Zealand rates us as a trusted Tour Operator. Admission and Dining Costs: These are the responsibility of the passengers unless stated otherwise.